Mor Armony is professor of operations management and the George and Edythe Heyman Faculty Fellow at New York University Stern School of Business. Professor Armony teaches courses in operations management and in service operations. Professor Armony's primary research areas of interest include management of patient flow in healthcare, optimization of customer experience in contact centers, and general stochastic modeling of various operations. Her articles have appeared in numerous publications, including Management Science, Operations Research, and Queueing Systems. Before joining NYU Stern, Professor Armony served as a consultant for Lucent Technologies and for AT&T. She also developed mathematical models for the prediction of financial indexes at Eventus, Israel. 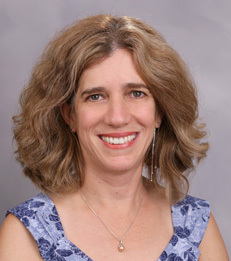 Professor Armony received her Bachelor of Science in mathematics and statistics and her Master of Science in statistics from the Hebrew University of Jerusalem. She also received a Master of Science and a Doctor of Philosophy in engineering-economic systems and operations research from Stanford University. Large-scale service operations: Applications to call centers and healthcare.